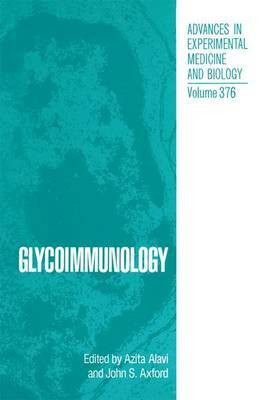 Glycoimmunology, the studyofthe oligosaccharide components ofglycoconjugates as an integral component ofthe immune system, has opened up a rapidly evolving field. It draws from a broad spectrum of technologies, ranging from classical synthetic organic chemistry, to molecular biology and beyond. The structural microheterogenity ofoligosac- charides found on glycoproteins and glycolipids is immense and reflects the enormous inherent structural diversity of these carbohydrate side chains and their ability to encode information. In this respect glycoimmunology represents an exciting and significant oppor- tunity for both biotechnology and pharmaceutical research. This book summarizes the proceedings of the Third Jenner International Glycoim- munology meeting, held at IL Ciocco Tuscany in October 1994, which was co-ordinated underthe auspicesofEUROCARB, the EuropeanCommunityConcertedAction forArthritis and Carbohydrate Research. This meeting brought together leading academic and commer- cial researchers at the forefront ofglycosylation and immunology, with the aimofreviewing and focusing on applied and basic research relating to glycoimmunology and its clinical implications.